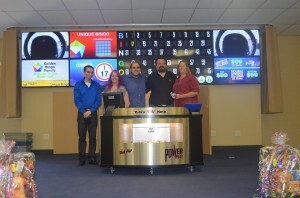 Founded in 2009, B7Bingo was started with one goal – to revolutionize the Bingo industry. Currently the only standalone “cloud-based” player tracking system, the B7Bingo Hall Management System was built as a simple and easy to use software with no complicated menus, 200-page manuals or difficult learning curves. As a company built by former bingo employees and players, we are in a unique position to change the industry. With the release of the Video Entertainment Display, the most advanced video display board in bingo history, B7Bingo continues to be an innovative force in the bingo industry.